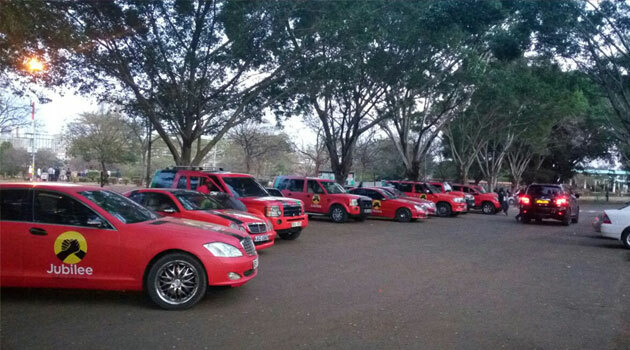 400 TukTuk, 100 Jubilee cars, 400 bodabodas set to ferry Jubilee supporters to vote for Uhuruto in Mombasa. -John Gatimu - Bana Kenya News, Real African Network Tubanane. More than 400 TukTuks and Bodaboda will ferry people from their homes to the polling stations to vote on Thursday polls in Mombasa. Launching the move, Mombasa TukTuk and Bodaboda official John Gatimu have assured people to vote and safety will be the first priority. "We want to ensure we ferry as many people as possible to vote for Uhuruto. We will pick them in hospitals, bus stops, and their homes." John Gatimu said. The Jubilee party in Mombasa has issued more than 100 pro-box cars to ferry people for the Thursday polls in Mombasa. Speaking in Nyali, Suleiman Shahbaal said the cars will be available in all bodaboda stages across the county.